Allan Murray taking a pass for the Pittsburgh Harlequins. 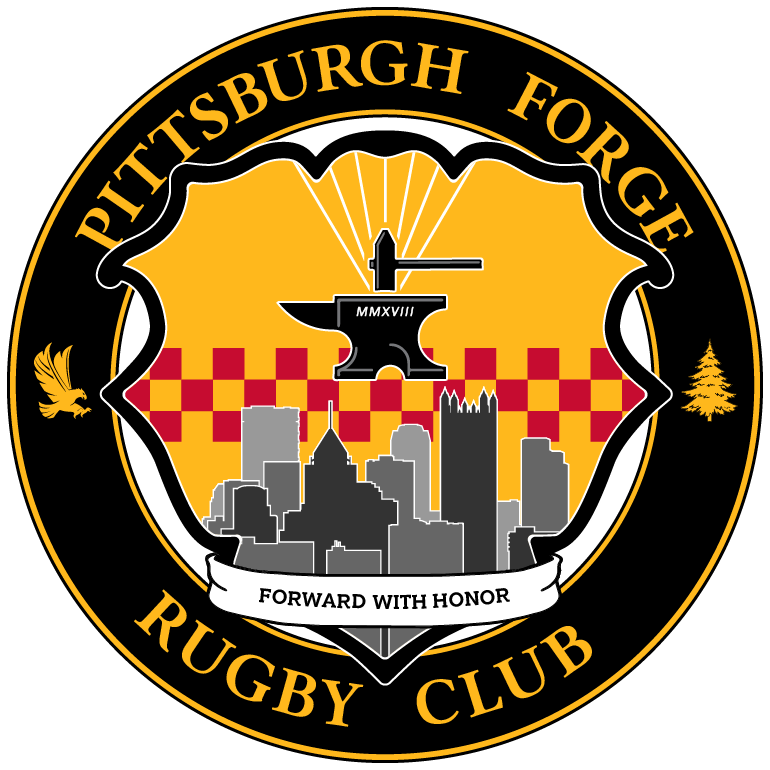 PITTSBURGH, PA – The Pittsburgh Forge, the city’s newest and largest rugby club, is pleased to announce that Allan Murray has been hired as an Assistant/ D3 Coach for the men’s XV’s program beginning in August 2018. 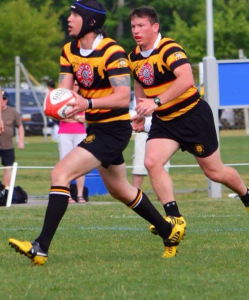 Allan has played rugby for eleven years at both the collegiate and senior levels. His playing career began in 2004 while attending Slippery University for his undergraduate degree in Physical Education. 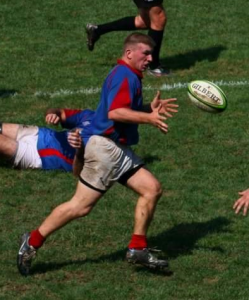 There, Allan was able to assist SRU in winning the Allegheny Rugby Union Championship three years in a row from 2005 through 2007. During that time, he was also chosen for the ARU Select Side playing as an Outside Center in 2005 and then as a Flanker in 2006 and 2007. 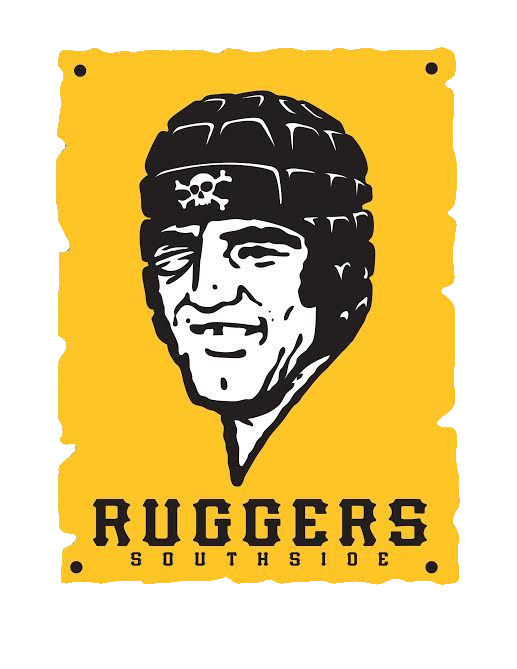 Upon graduating from SRU in 2008, Allan began his senior rugby career playing for Coach Walsh and the Pittsburgh Harlequins in Cheswick, PA. Allan played at the Division I level with the Harlequins for four years, which included their bid to the Division I Sweet 16 in 2012 before leaving with Coach Walsh to join the Pittsburgh Rugby Club later that year. Allan helped Pittsburgh earn a Midwest Division II second place finish in 2013 before stepping away from the pitch as a full time player in 2015. 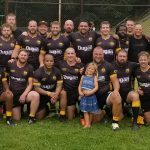 Allan supporting a teammate for Pittsburgh Rugby Club. University of Pittsburgh’s Men’s Club from 2011 until 2014. Allan would then become the Head Coach of the program in 2014 where he remained for four years, until the conclusion of the spring 2018 season. 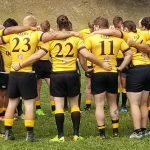 Allan is currently a USA Rugby Level 200 certified Coach and a USAR Level One Certified Referee.  After graduating with his Bachelor of Education (BEd) in Health and Physical Education/Fitness from Slippery Rock University, Allan began his career as a Physical Education Teacher at the Woodland Hills School District for the past eight years. Coach Murray is very excited about joining the Forge Men’s coaching staff and working with Coach Stephen Walsh once again. 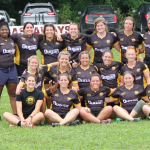 The two have worked well together over the course of six years for both the Harlequins and Pittsburgh Rugby Club. Allan will be tasked with developing a competitive second side comprised of young recruits and veteran players with some gas left in the tank. Allan expects the Division III side to compete regionally right out of the gate even while supplying the higher side with quality players when their number is called upon. 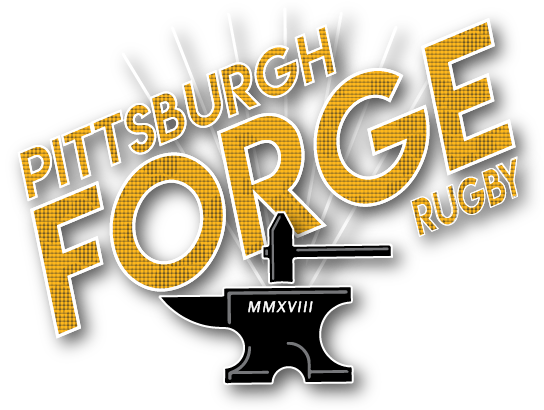 The Pittsburgh Forge’s Summer 7’s programming begins on Tuesday, May 22nd at Phillip Murray Field near Pittsburgh’s Southside. Training will be held every Tuesday and Thursday evening at 7:00 PM.